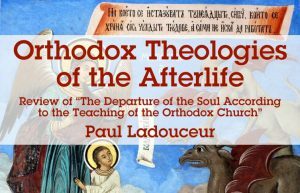 In the Orthodox tradition, the expression “the teaching of the Orthodox Church,” as employed in the book The Departure of the Soul According to the Teaching of the Orthodox Church, does not have the same theological sense as “the teaching of the Catholic Church.” Orthodoxy has no cathedraor magisterium corresponding to those in the Catholic Church, but rather a number of different sources of the faith or teachings, with varying degrees of authority attached to them. There are several slightly different orderings of these authorities, but foremost in importance is Scripture, especially the New Testament, and within the New Testament, the Gospels, especially the Gospel of John; then the dogmatic pronouncements of the ecumenical councils; the non-dogmatic declarations and canons of ecumenical councils and of other local councils of the church; the writings of the great Fathers on church dogmas; their writings on other theological issues; writings of other saints; the liturgy and icons; and the writings of other respected elders and theologians. No ecumenical council or even local council has ever pronounced itself on the toll-house doctrine and indeed The Departure of the Soul, for all its thoroughness, does not cite a single conciliar statement on this subject. The best that the editors of the book come up with is a 1882 report of the Synodal Educational Committee of the Holy Synod of the Russian Orthodox Church (appointed by the czar and not composed entirely of bishops) approving a book by a Fr. Mitrophan, who refers to the toll-houses (TDS, 242-243), and the minutes of the 1980 synodal decision on the toll-house controversy by the ROCOR Holy Synod (TDS, 244-249). The decision censures Lazar Puhalo in particular for his theory of the insensibility of the soul “in some state of sleep” because of its separation from the body after death, and it refers in passing to the presence of the toll-houses in lives of the saints and liturgical texts, but it does not formally endorse the toll-house doctrine. Indeed, the decision contains a categorical statement which places the toll-house teaching in its proper dogmatic context: “Actually, no one can dogmatically establish the existence of the toll-houses precisely in accordance with the form described in the dream [of Gregory recounted in the Life]of Basil the New, insofar as no direct indication thereto is to be found in the Scriptures” (TDS, 247). The editors of The Departure of the Soul According to the Teaching of the Orthodox Churchhave benefitted from the publication in 2014 of a scholarly edition by the Dumbarton Oaks Research Library of the tenth-century work, The Life of Saint Basil the Younger (or the New). The editors include in TDS the entire chapter in which Basil’s disciple Gregory recounts his theoria-vision of the ascent of Basil’s faithful servant Theodora through the toll-houses before reaching Basil at an emerald banquet table in Basil’s heavenly abode (TDS, 370-417). Later in the book, the editors go to great lengths to defend the authenticity of The Life of Saint Basil the Younger and to criticize Lazar Puhalo for casting doubt on its Orthodoxy (TDS, 910-980). Although Fr. Seraphim Rose presents the toll-house narrative in his book The Soul after Death(1980), this is not the main thrust of his book, which concerns rather the assessment of the then-contemporary fascination with near-death and after-death experiences in the United States. He was in fact very cautious concerning the significance of the toll-house narratives, warning in particular against a rational or literal interpretation as distinct from a metaphorical or spiritual interpretation. In conclusion, an anthology of patristic and other writings, however numerous, attesting to the toll-house doctrine does not establish a teaching of the Orthodox Church, nor can such an anthology become a substitute for the proclamation of doctrine or teaching by a duly-constituted conciliar authority received by the body of the Church. 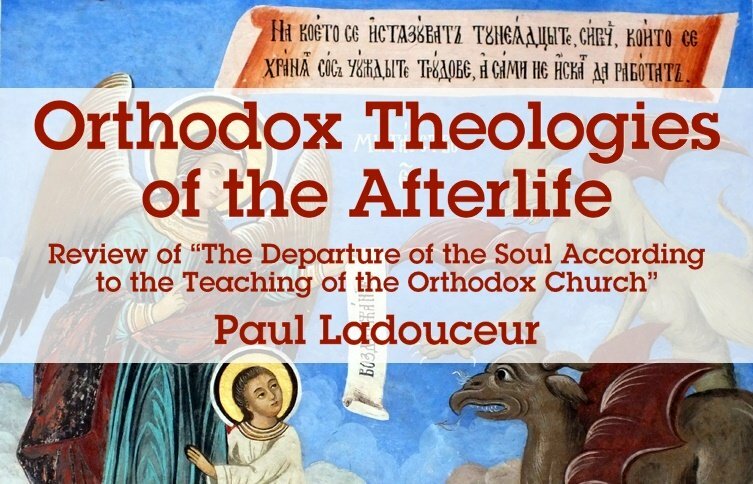 The new ecclesiology of The Departure of the Soulwould abolish the primacy of Scripture and the conciliarity of the Orthodox Church and replace them with the theoria-visions of saints and elders. This ecclesiology is unsustainable in the Orthodox tradition. The doctrine of the toll-houses is not the teaching of the Orthodox Church; it is the personal theological opinion (theologumenon) of, yes, a large number of Fathers and elders of the Church, but it has never been proclaimed and received as a doctrine or teaching of the Orthodox Church. 1. Are the theologians associated with the Greek Orthodox Church going to address this question, or are they waiting to see who will win the war? 2. Will the “Headquarters of the Ephraimite movement in North America”, i.e. the Monastery of Elder Ephraim be reprimanded, censured or rebuked by any of our Hierarchs for publishing a book based upon promulgating heretical teachings? 3. How long will it take the internet trolls of the Ephraimite movement to rush to defend this heresy and attack those who are protecting the Faith against heresy? 4. The entire false theory of Aerial Tollhouses makes Orthodox Christians look like a cult and flies in the face of the what not millions, but billions of Christians believe around the world. The furtherance and promotion of Aerial Tollhouses is an affront to the sacrifice that Christ made for us. I wish that those who have the responsibility of defending our Faith, our Hierarchs, step up and show us that they care about their flock. Because the further we descend into this morass of heresies, the more difficult it becomes to correct it. Our Parishes are emptying at an alarming rate. The fracturing of our Church under the guise of healthy monasticism is an accelerant to our demise. Finally thank you Dr. Paul Ladouceur for your fine work. 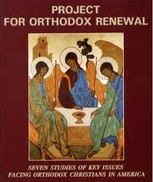 I’m not sure if you saw, but there are a number of bishops listed in the beginning of the book that endorse the work. There were also a number of bishops, archbishops, and even emperors in the Byzantine East who were Arian heretics!!! I hope you are kidding. Prepare for your kids and grandchildren either to become raving fundamentalist Orthodox or atheists. Sadly I do not believe he is kidding. Once someone becomes an adherent to Ephraimite “theology”, it is nearly impossible to have a fact based conversation with them. Their Ephraimite “spiritual father” becomes their one and only source of truth. All others are against true monasticism. All others just don’t understand, are prejudice or view the movement of Elder Ephraim from a non-Christian perspective. Some who don’t accept their “theology” are called modernist, others, such as Greek Orthodox Priest who question this “theology’ are insulted in the Metropolis of Chicago and called “Catholic”. There will be no end to this heretical movement and the heretics that follow it until they are dealt with by the Hierarchs. From what we are witnessing coming out of the Patriarchate we are in more trouble then the average Parishioner knows! First and foremost, please give my best to your daughter Helice. As I am certain you remember we were fellow Parishioners at a Parish in Chicago. For the record, I realize that you are serious and not kidding about “ordering five books for my five children with families.” This is of course your prerogative as a Father and Grandfather. Clearly, it is also the right of Herschel and me to question this. In Herschel’s words, “I hope you are kidding. Prepare for your kids and grandchildren either to become raving fundamentalist Orthodox or atheists.”, is a concern many share. But now Mr. Carris, let me take issue with the statement “Most of Athos is not kidding so why should I accept some contemporary learned men who came to their own conclusions change the will and theology of thousands of years of witness.” First, most of Athos does not adhere to the heresy of Aerial Toll Houses for the practice of our Faith. Next, the heresy of Aerial Toll houses is more contemporary than the accepted theology of God judging us. The fact that we have a movement that introduces a new form of a discredited heresy of purgatory should incite all Christians to speak. The Monks of Mount Athos were in fact some of the most vehement opponents to this Catholic heresy. 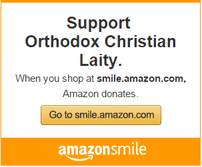 So now you represent to all our readers that they are now in favor of the Orthodox version of this heresy. Interesting dressing the argument in the guise of what a majority of Athos believes. I could go on here point by point, but what good would that do? Your reality is controlled by what the followers of Ephraim teach. By the way, Monks who leave their monastery, even coming to North America, are acting in direct defiance of their vows. Perhaps that should be clue number one about what is occurring here. Defending a heresy promoted by a schismatic is exactly like pouring gasoline on a fire. Our Church is suffering. Parish after Parish is experiencing the loss of adherents. Why not promote a movement that only further destroys our base? Mr. Carris, based upon what I see, the Church that our Grandchildren will inheret after this Ephraimite movement will be a mere shadow of what we have today. This movement is an unmitigated disaster upon the Church. Dressing it up and confusing the truth is only doing harm. For those that wish to understand Ephraimite Monasticism contrasted with that practiced on Mount Athos my wish to read the article linked below: http://gotruthreform.org/ephraimite-fallacies-part-one. Mr. Carris, thank you for your thoughtful responses to my posts. I was not offended by you referring to me as Vasilli. It is my baptismal name. Many of my friends use it instead of Bill, here there will never be a problem. I will need to caution you about the running assumption that you are making that I need referrals to Monasteries. I have been going to Monasteries all my life. I just don’t go to one’s that promote heretical teachings or practices. I also don’t pray at places under the spiritual guidance of a schismatic Elder. Anytime I speak my mind to protect the Faith from those who preach heresies I am assumed to be anti-monastic. I am not, but, I only visit Monasteries that do not defile our Faith. I have spend time in Monasteries all over Greece. From Kefallinia to Meteora, to a small Monastery operated by one nun near my Father’s village. Vasilli, Though we are oceans apart on Monastism I do so respect your position…When my daughter Athena bakes me Vasilopeta come January I will slice a piece on behalf of your good father and his Son. If God grants me the coin I will travel to Helices home at the Ukrainian Village and you then come and break bread with Andoni…let us appreciate our heritage and give glory to God…no agenda Vasilli. Are we both really “oceans apart on Monasticism” or is it that we “oceans apart” on just one Monks theology and movement? Because Mr. Carris I do not appreciate the subtle way you try to cast me as someone who is “oceans apart” on something that I believe in. You can “couch” your message in language about a beautiful Vasilopeta event without resisting the urge to delicately, yet distinctly make me look as if I am anti-monastic. I am always very direct and lay out the issues. Let’s please stick to the issues without the veiled or hidden messages. Mr. Carris do you believe in Aerial Toll Houses, because I do not. Your favorite Monks at St. Anthony Monastery just published a 1200 page book promulgating this heresy. Let’s try to stick to facts and not paint me as some person that has no appreciation of the sacrifices that our monastics have made. Let’s be clear, Bill Stotis. Do you reject the testimonies of saints from the earliest centuries of Christianity, all the way up to the present (e.g. Saint Paisios) in support of the aerial toll houses (which, by the way, are not to be interpreted strictly literally)? Were they all heretics? The book by St Anthony’s is mostly an anthology of the writings of these saints, in addition to examples of iconography and liturgical hymns. If our icons, hymns, and saints are “heretical”, then I wonder which Church you think you belong to. Additionally, although I disagree in several respects with the above review, the author does admit that “Toll-house imagery and symbolism is certainly within the Orthodox tradition — The Departure of the Soul eloquently demonstrates this — but it is not the sole strand of thinking on the afterlife within the Orthodox tradition.” This is obvious, and nowhere does the book state that there is nothing more to be said about the afterlife than toll houses. To call the doctrine heretical, however, is ridiculous to say the least. Peter why are you misrepresenting my statements? Theologians will tell you that not every single statement attributable to every saint is accepted Orthodox Theology. Why are you “baiting me”? What is your goal, to discredit me? I believe that Ariel Toll-House are a heretical teaching. I believe that proponents of any Heresy are damaging the Church and our Faith. I see anything or anyone that advocates for a heresy as heretic. To many people, me included, the “book” The Departure of the Soul is a work of fiction. An example of a theory (at best a “Theologumenon), not a proclamation or a pronouncement of our accepted Faith. The author of the article we are commenting about agrees with me as do many of the commentators to his article and to the subject book. The theologumenon of Toll-houses is a tool used to manipulate, albeit in a skillful manner, those who are easily manipulated. Point 3. Many saints (including writers of the Philokalia, if it makes any difference to you), liturgical hymns, and iconographers of the Orthodox Church believed in the toll houses (not necessarily, again, in an overtly literal fashion! The main teaching is that demons and angels contest over the soul after death). This is irrefutable. C. (Conclusion): Countless saints, liturgical writers, and iconographers of the Church are heretics. This conclusion is inescapable IF a person adopts your reasoning. Like it or not, you’re led into anathematising your own Church. I am not. Here is the concluding paragraph of an article written by Fr. Steven C. Salaris, M.Div., Ph.D.
Fr. Steven C. Salaris, M.Div., Ph.D. If people associated with Elder Ephraim’s movement wish to destroy our Faith, then continue to advocate this and all the other heresies many of those who are now commonly referred to as “Ephraimites” espouse. Peter please quit conflating issues and points. Demons and Angels fighting over souls is very different than the heresy of Ariel Tollhouses. Placing them together is only meant to confuse those who are already confused enough to buy this heresy. If toll houses exist why were they absent from the preaching of our Lord as well as the preaching of the apostles. Could they have just forgotten to mention them? If they exist, they would have surely been mentioned. The central aspects of the preaching by Jesus and the apostles was the call to repentance and faith in Christ as the messiah–no mention of toll houses. Finally, why were toll houses not mentioned to the thief on the cross? Rather, our Lord told Him: today you will be with me in paradise. “Notice also the words “they will require”. Like some stern imperial officers demanding tribute, the fearsome angels will ask for your souls, and you will not want to give it because you love this life and claim the things of this life as your own. But they do not demand the soul of a righteous man, because he himself commits his soul into the hands of God and Father of spirits, and he does so with joy and gladness, not in the least bit grieved that he is handing over his soul to God. For him the body is only a light burden, easily shed. But the sinner has made his soul fleshy, something difficult to separate from the body. This is why the soul must be demanded of him, the same way that harsh tax collectors treat debtors who refuse to pay what is due. See that the Lord did not say, “I shall require thy soul of thee,” but, “they shall require”” (The Explanation of the Holy Gospel According to Luke). I do not know about the thief on the cross as I am only a man – all I know is that the Fathers were obviously aware of this example and didn’t think that it posed an obstacle, so why should I? Peter, of course not all things are mentioned in scripture. However, the Jesus prayer and the roots of monasticism come directly from scripture—no mention of toll houses. Is it possible our Lord and His apostles had memory lapse. Forgiven people will populate Heaven and that forgiveness must be experienced in this life. St Isaac said, “Heaven is a prepared place for a prepared people.” Preparation takes place in this life through repentance and participation in the sacramental life of the Church. I agree with most of what you said here, but if you read what I posted, according to some of the Fathers the bible does indeed support the core doctrine of the toll houses. If you decide to disagree with their exegesis that’s your choice (I am not a clergyman and will not tell you what to do) but the disinformation that has been spread by some people on this thread needs to be addressed. B. If you think that toll house imagery/symbolism is heretical, then you are anathematising your own church through its saints, iconographers, and hymns. You did nothing to respond to my post above. D. The “bizarre” teachings mentioned by your copied-and-pasted segment have been very clearly explained in works such as Fr Seraphim Rose’s “The soul after death,” where he cites many patristic testimonies and comments on them. Ultimately, before labelling something as a “heresy” (a very severe charge) – especially something that is a part of the patristic tradition – at least show some good will and make an effort to understand it. “First. We should not be thinking only of today’s customs houses, through which everyone has to pass at the national borders. The symbolic image is intended to present something, but it must be interpreted in an orthodox way. What, I ask, do you dispute about this doctrine (taking into consideration my above post about patristic testimony)? A balanced analysis of the toll house heresy is to reject it outright. If anyone teaches this pernicious heresy, they are a heretic of the first order. This disgusting heresy is sheer blasphemy, and, if it continues, will surely empty the Orthodox Church of all true Orthodox Christians. Thank you Anthony! Though of course I am not at all worthy. Constantinos: You ignored everything that I said. Are you really willing to label the saints as heretics “of the highest order?” Think very carefully before you end up sounding even more fanatical than the old calendarists.